KODIAK — When Kelly Champagne thinks about the federal government shutdown, she gets frustrated. She works as a contract biologist for the National Oceanic and Atmospheric Administration in the city of Kodiak, and her husband works for the U.S. Coast Guard here. During the partial government shutdown, which lasted more than a month, they both missed paychecks. They’ve whittled down their spending, keeping a close eye on their gas and grocery bills. “We’re trying to make what’s in our freezer stretch,” Champagne said. People in this island community about an hour’s flight south of Anchorage have felt the shutdown ripple throughout. Businesses have been slower, and people have organized efforts all around town to offer free or discounted meals and services to each other. The government is now reopening temporarily for three weeks, but the impact hasn’t disappeared. Especially in Kodiak, the effects have been pronounced. 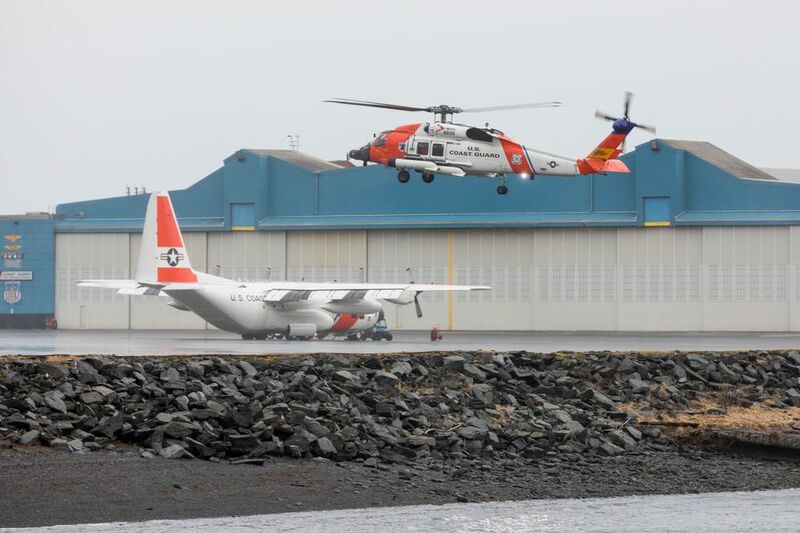 At least a quarter of the people on the island are connected to the Coast Guard base in some way, Kodiak city mayor Pat Branson estimated. About 13,100 people live on the island as a whole, and the city has a population of nearly 6,000. 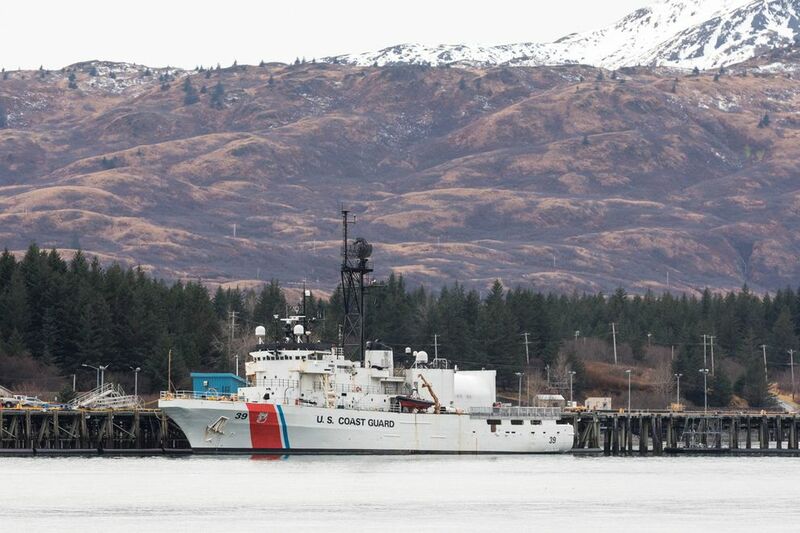 There are about 1,100 active duty Coast Guard members on the Kodiak base, a spokeswoman said, not including dependents. On top of that, there are civilian employees and federal contractors. It’s the largest Coast Guard base in the U.S. by square mileage, situated in this community where otters pop their heads up from the blue water and bald eagles congregate near the docks. 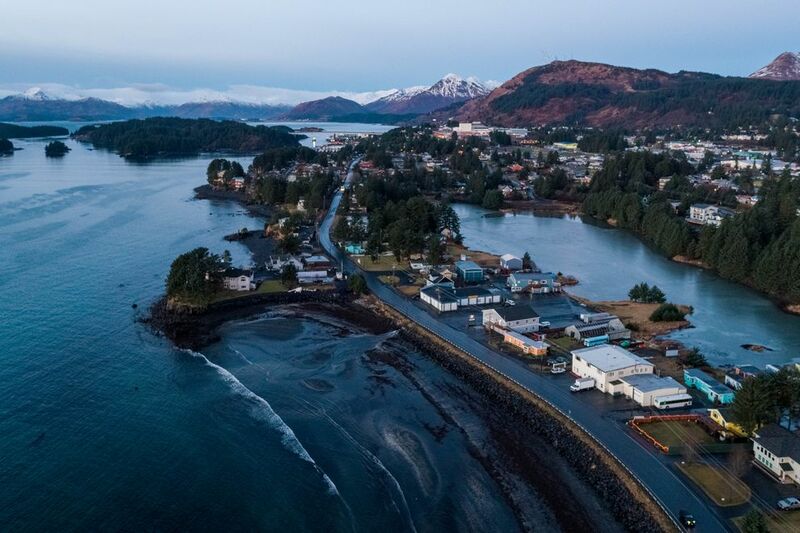 “Our entire community, and the fishing community included, is so intertwined with the workings of the Coast Guard,” said Terry Haines, a fisherman and member of the Kodiak City Council. While the Coast Guard continued essential services, including search-and-rescue, during the shutdown, it curtailed other duties, such as issuing licenses for commercial fishing vessels. There’s still a sense of uncertainty even though the government is reopening, Branson said. Even if workers get paid retroactively, businesses won’t be. She also worries about what will happen in three weeks. After funding is appropriated, it takes the Coast Guard three to five days to process military pay, petty officer Lauren Dean said in an email. Because of the shutdown, a local food bank in Kodiak has been providing for more people than usual. A pregnancy center donated diapers to the base. Kodiak College is letting students set up payment plans for tuition. At King’s Diner, a big jar on the counter solicits donations for Coast Guard members. 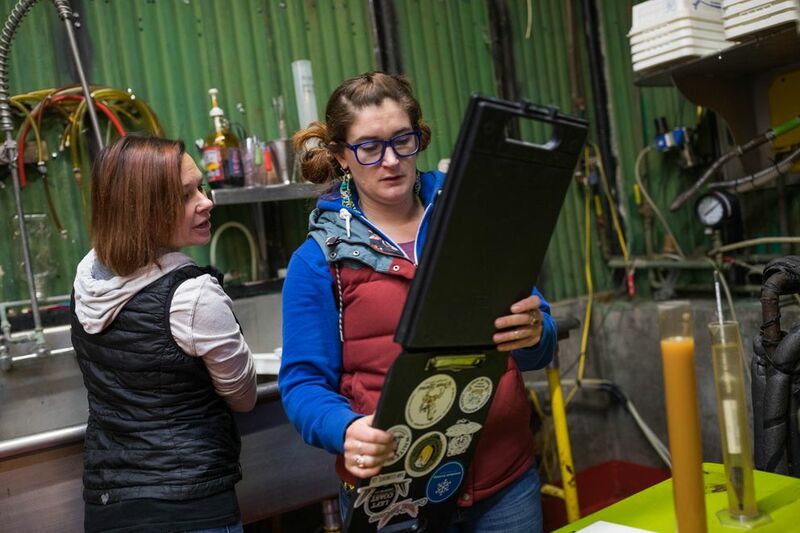 Last week, conversations about the shutdown were happening everywhere here, from a brewery to a coffee shop at the airport. “It’s brought up with every person, one way or another,” said Alicia Short-McEwan. She owns Java Flats, a cafe about 10 miles down the main road from downtown. The space has been opening for free lunch to anyone on Mondays, a day when the cafe is usually closed. “People here are pretty awesome," she said. “It’s sometimes easy to forget that in the middle of the winter, when it’s been raining for two months." At Kodiak Baptist Mission, a campus of colorful buildings set among towering trees with spindly moss-green branches, the food bank usually gets plenty of donations from the Coast Guard. But during the shutdown, more people with ties to the Coast Guard went there for food themselves, picking from shelves full of oatmeal, canned peaches, rice, and refrigerators of perishables. The food bank also lifted its income requirements to be able to serve more people affected by the shutdown. 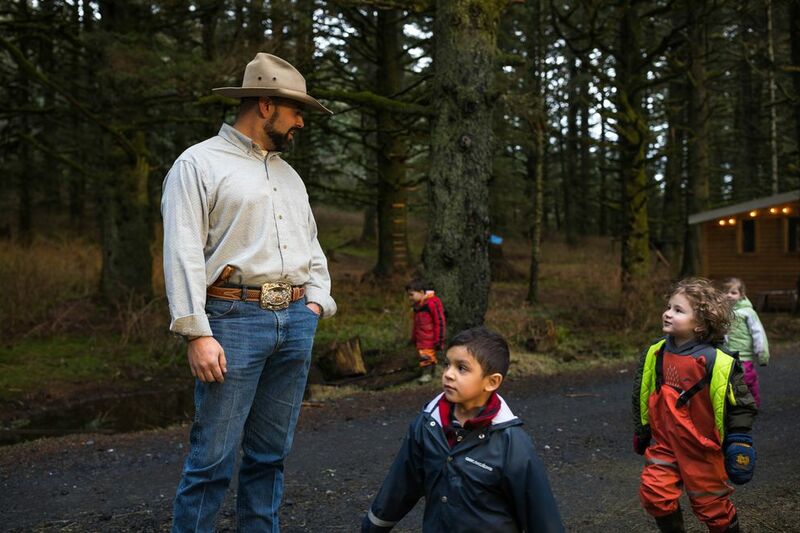 About 42 percent of kids at the mission’s school programs come from Coast Guard families. “People, I think they’re coming to the ends of what they had set aside,” said Josh Bell, outdoor programs coordinator at the mission. “They’re running out." Talking with people in the community, Bell said, “you can start to feel it, that there’s a feeling they’re starting to carry." Fred O’Hearn lives in Kodiak and was walking along a beach there one recent morning with his dog Shadow, mountains lit up in the distance from the morning sun. He’s retired, and said he’s supportive of border security but isn’t sure if a wall is the best solution. 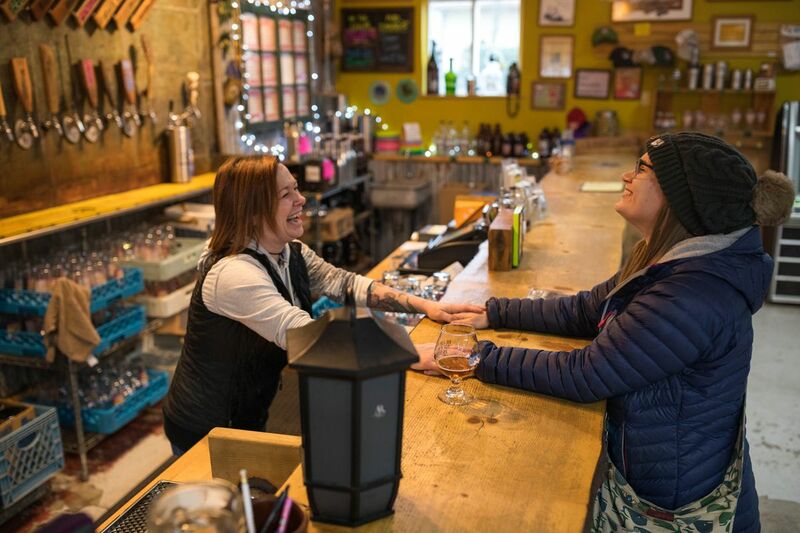 At Kodiak Island Brewing Co. in town, Champagne was the only customer there early Thursday afternoon, wearing a pair of Xtratuf boots and a puffy jacket. She sipped from a glass while a black cat named Wheels wandered nearby. “Petting a cat and drinking a beer certainly lowers my stress level,” she said. In her contractor job with NOAA, she researches ocean acidification. The shutdown has meant leaner staff there to monitor experiments, she said. Because she’s a contractor, she said, she won’t get retroactive pay for missed checks the way other federal employees will. And she worries about her husband. “It’s incredibly upsetting to know he’s going out without pay,” she said. “Now the government they wanted to work for and support isn’t supporting them. We signed a contract, and contracts should be honored." 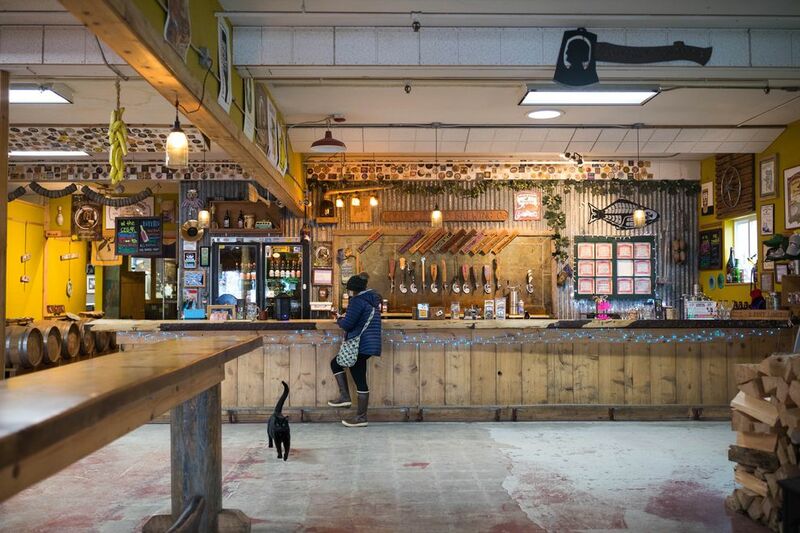 January is usually a slow month at the brewery but “this is another level of slowness,” said owner Ben Millstein. He’s heard from other business owners that people are cutting back on retail spending and dining out. Brewer Chrissy Johnsrud and bartender Diane Million tended to huge steel brew tanks Thursday afternoon. A sign in tribute to a now-retired Coast Guard cutter, the Ironwood, hung on a wall nearby. With how slow things have been, Johnsrud isn’t sure if they’ll be brewing as much in February as usual. “I just want people to come back and drink beer," she said. On a recent Sunday, Million cooked six crock pots worth of food at home and brought it to the brewery to feed the community. 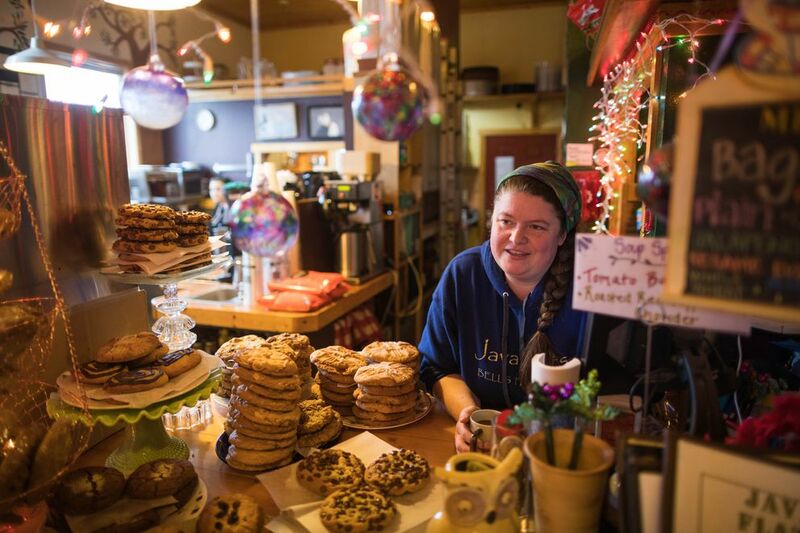 She wants to open a food truck in Kodiak, and her husband works in the Coast Guard and was set to retire on Friday. They aren’t sure what the shutdown means for their plans. “I’m looking forward to all those things, but everything is on hold right now,” she said. 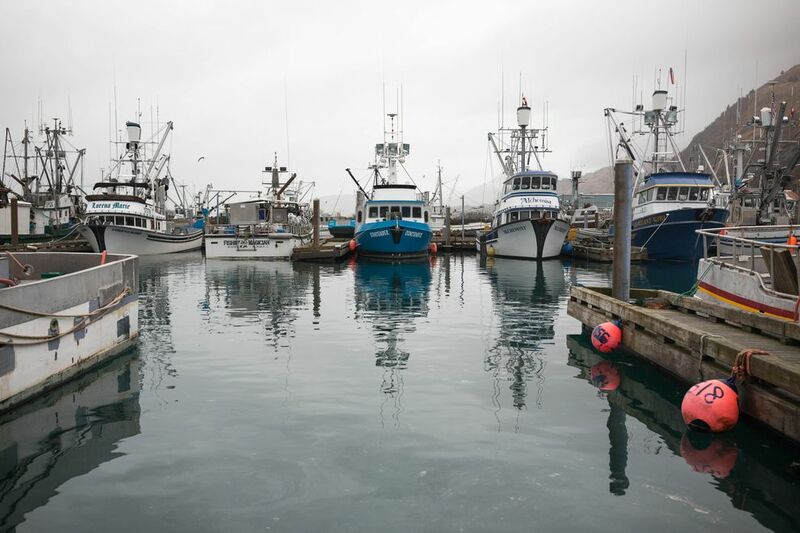 The fishing industry is another key part of Kodiak’s fabric, and it relies on the federal government for permitting, inspections and more. Haines, the city council member and commercial fisherman, said there hadn’t been a direct impact on him as of Thursday as far as fishing goes, but people were nervous about the future. Politically, Haines is an independent, he said. He doesn’t think Trump is an effective president. “This shutdown over a single issue is a great example of how not to make a deal,” Haines said. “And the idea that Mr. Trump sold himself as some sort of supreme dealmaker certainly seems ironic now." At Peterson Elementary School next to the base, most of the kids come from Coast Guard families and many of the teachers have ties to the Coast Guard, too. On Thursday evening, volunteers put together a dinner with donations from businesses in town, and offered it for free to anyone. 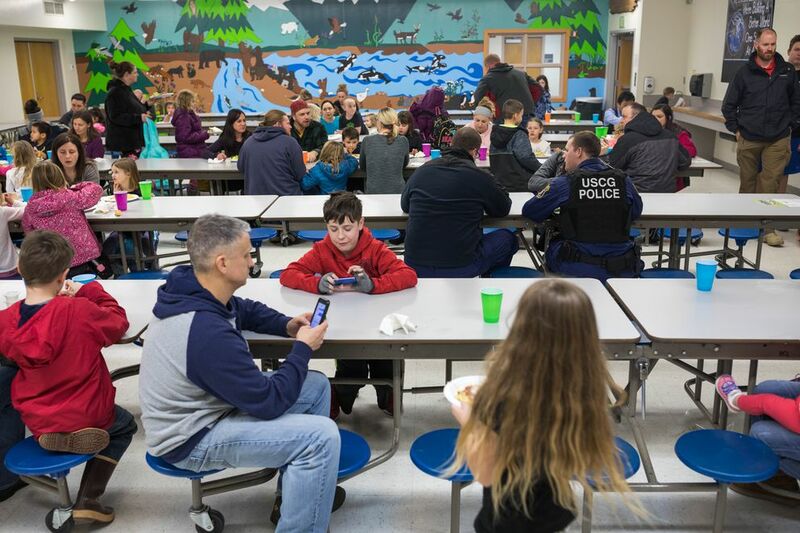 Parents and kids trickled in around 5:30 p.m., scooped portions of spaghetti and salads onto their plates and ate in the school cafeteria. In the hallway, there was a table where families affected by the shutdown could fill out federal forms to get free school lunch. Next to the table was a box collecting food for a student snack drive. Brittany McCabe has two kids who attend the school, and her sister Kori Allen has one. Their dad owns four fishing vessels, and Allen said the shutdown made it a hassle in terms of fishing licenses. “We are behind President Trump,” McCabe said, “but on the other hand, it doesn’t seem fair that the Coast Guard is getting punished for this." Even the young students are anxious, teachers said. In an exercise for Martin Luther King Jr. Day, second-grade students had to complete the sentence “I have a dream ...” on a piece of paper. One student’s dream was for the shutdown to end. Another’s was help for the Coast Guard. “I’ve lived in Kodiak for 30 years and I’ve never seen anything happen like this,” said Linda McCool, a library media specialist at Peterson. “I think it really is having a ripple effect throughout the community."